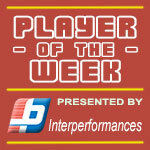 27-year old forward Aaron Nelson (205-F-91) put on an amazing game in the last round for Byblos and receives a Interperformances Player of the Week award for round 17. 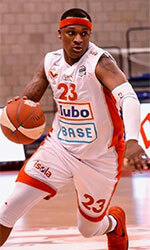 He had a double-double of 27 points and 19 rebounds, while his team beat Moutahed (#8, 4-10) 84-76. Byblos is placed at 5th position in Lebanese league. Byblos is rather a weak team placed in lower part in the standings. They need more victories to improve their 6-9 record. In the team's last game Nelson had a remarkable 62.5% from 2-point range. 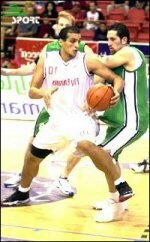 He turned to be Byblos' top player in his first season with the team. University of Southern Indiana graduate has very impressive stats this year. Nelson is in league's top in points (3rd best: 23.6ppg), rebounds (2nd best: 11.0rpg) and averages solid 1.1bpg and 50.9% FGP. Second best performed player last round was Willie Warren (193-PG-89) of Hoops. He is American guard in his first season at Hoops. In the last game Warren recorded impressive 35 points, 4 rebounds and 6 assists. Of course he led Hoops to another comfortable win 87-73 over slightly lower-ranked Atlas F. (#7, 4-10) being unquestionably team leader. Hoops' 6th position in the standings has not changed. His team is not often considered as one of the league's best with a mere 5-8 record. Warren is a newcomer at Hoops and quickly became one of team's most reliable players. He belongs to the best scorers in the league with 26.0ppg (#1). He also recorded 6.1 assists per game. Third place about best performers goes to Keanau Post (211-C/F-92, agency: Slash Sports) of Sagesse (#9). Post scored 14 points and grabbed ten rebounds. Despite Post's great performance Sagesse lost 82-89 to the higher-ranked Homentmen (#3, 11-3). But his team cannot count on just a single player as he also needs help of the other teammates. Sagesse can only dream about fighting for top spots in the league. They have extremely bad season and 1-13 record places them at the very bottom of the standings. Too bad for Post he does not play for a better team. But maybe if he did, his season stats would not be that high. Post has individually a great season in Lebanon. After 13 games, he made it on the list of the league's leaders in rebounds with 9.8rpg (5th best). He also has 1.8bpg and FGP: 52.3%.